Fonality offers a variety of deskphones to meet the needs of every user, along with servers that have just he right capacity for your business. We feature phones by Polycom and Yealink and servers by Dell. All of our equipment is available for rental or sale. Don’t want to get hardware from us? That’s fine. You are welcome to procure supported equipment from any source you like. Let’s Talk About Your Equipment Needs. There are lots of options and every business is different, so let’s talk about your specific situation and requirements. Desktop IP phones are well suited for every day phone users who need crystal clear voice with an intuitive interface. These phones require minimal customization and are extremely easy to set up. Desktop phones become a powerful tool with the addition of our Heads Up Display software. Our Executive IP phones are perfect for management users who wish to support up to four lines. These phones are built with state-of-the-art hardware designed for busy professionals. With additional programmable hard keys and a more advanced user interface, executive phones satisfy the needs of executives and frequent phone users. Our Reception IP models are designed to appeal to attendant users, who require advanced features, applications, and multiple line support. These phones come out of the box with up to 16 programmable hard keys so that calls can be routed with ease. In a world where conference calls with partners, vendors, remote workers and global teams are the norm, crystal-clear conversations are a must for productive meetings. The Polycom 5000 and 6000 deliver superb voice quality, advanced audio processing, and all the features that make conference calls seem as natural as being in the same room. Wireless Wireless IP business phone models expand beyond the desktop without the need for a separate wireless network. With a range of 150 feet indoors, your employees are no longer tethered to their desks. If your employees need even more range with their wireless phone, an RT10 repeater can be added to extend the range. 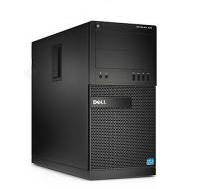 The Dell Optiplex XE2 is a purpose built and energy efficient server that is flexible for small business storage spaces. 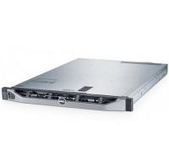 The OptiPlex XE2 offers longterm system stability, customizable integrated solutions, and a low total cost of ownership.